Preen Line is no stranger to incorporating bold hues in its collection, and this vivid red Alba dress is sure to make an impact. 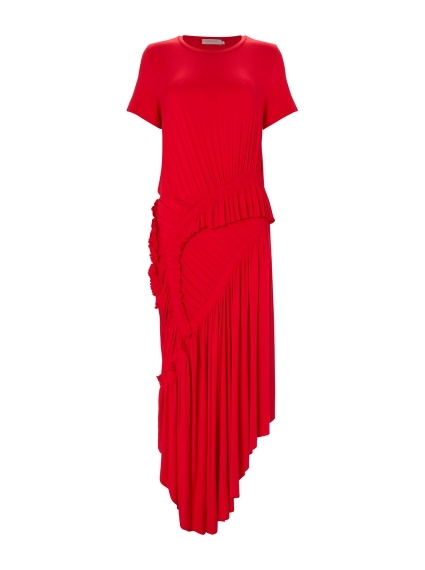 Made from stretch-cotton jersey, this midi style has ruffle-trimmed gathered panels and a smocked elasticated waist. Let the shade pop against simple black accessories.